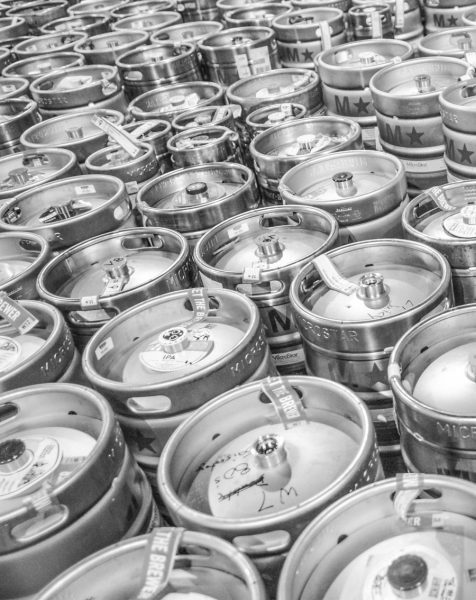 As the brewing community has grown, so has the number of lost kegs that have arrived at MicroStar’s quality services facility in Green Bay, Wis. Earlier this year, Brewers Association financed a limited time offer to pay one time freight charges to return kegs to brewers who had not previously participated in the MicroStar’s keg repatriation program. Although the offer to sign up “free freight” program ended January 31, 2018, MicroStar continued to honor quotes through mid-February. At the programs conclusion, 4,228 kegs from 99 member breweries were returned home where they can be put back into circulation, delivering draught beer to thirsty customers. The issue of stray kegs costs every brewers between $0.46 and $1.37 per barrel of annual keg production. The high cost of keg loss directly impedes job growth, reduces brewer, distributor, and retailer profits and increases the retail price of American-made beer. For more information visit KegReturn.com. This site provides information to help consumers, homebrewers, retailers, distributors, brewers, and scrap yards understand the issues surrounding lost kegs. In the normal course of business of keg leasing, service, and repair, MicroStar receives and returns approximately 30,000 stray kegs per year. Although the free freight program reduced the number of kegs in MicroStar’s warehouse, the company’s current stray keg inventory is still over 14,000 kegs. Breweries can visit KegReturn.com to see if your brewery has stray kegs in MicroStar’s inventory. The list currently shows the number and size of lost kegs for almost 400 breweries. The next step is to contact MicroStar to arrange for the return of your kegs.